Spin was intense yesterday. So intense that with about 5 minutes left I hopped off my bike and walked out. I just couldn’t handle another song in the “squat” position. I am never one to walk out but I have been fighting a cold and if you must know, I really needed to blow my nose. A stuffy nose while spinning at a high intensity for an hour is not easy. I am feeling better today and figure I will venture over to Lifetime for a little bit more cross training action instead of running. After a winter full of running on the treadmill due to poor weather conditions, I am finally understanding how much harder running outdoors can be. I never thought it was, until this winter when I got kinda used to flying fast on the treadmill without being sore the next day. I have been feeling my runs much more these days so instead of pushing it, I think I will add in another cross training day this week. On another note, I have a confession. I don’t take my mail in every day. Or even every week. 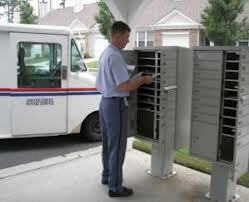 Now hear me out on this…my mailbox is not at my front door. I have to walk about half a block. Remember, I can run half marathons but ask me to leisurely walk? To get my mail? Too much effort. To combat this problem, I have tried going green. 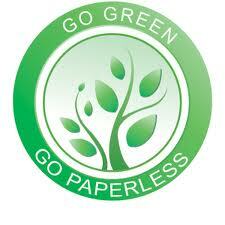 I have alerted every company, friend and advertiser that I have gone paperless. Yet there is still mail in that box whenever I actually open it and I sometimes don’t receive it until AFTER I should have. Luckily the important deliveries find me. 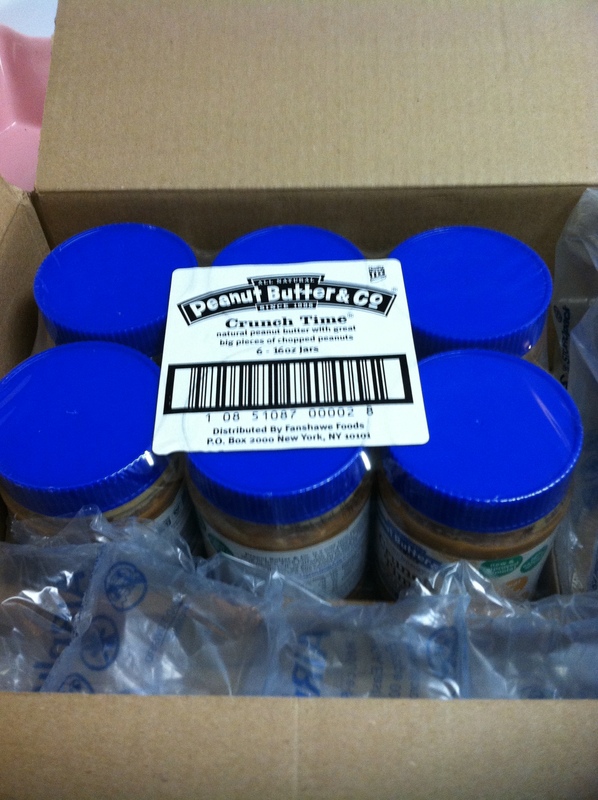 My beloved peanut butter delivery. 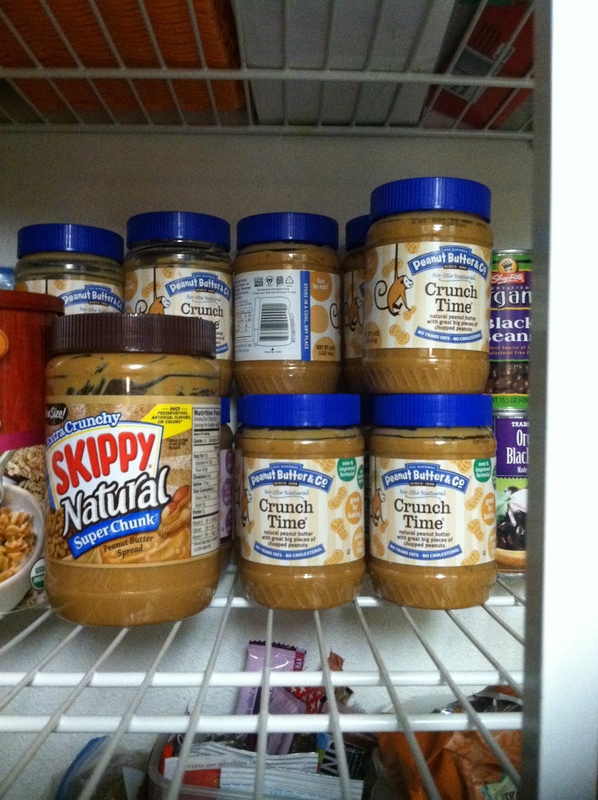 One can never have enough peanut butter. 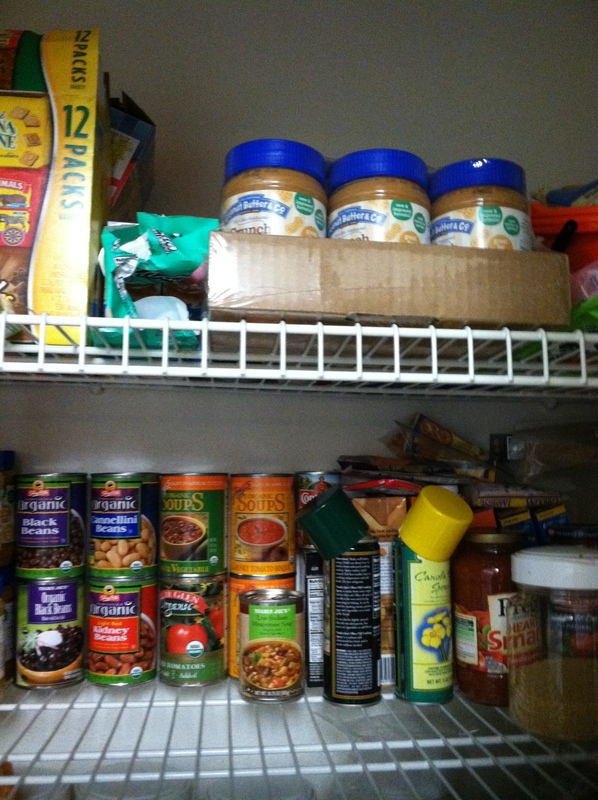 Yes, that is a jar of Skippy Natural Peanut Butter in my pantry. I have told you I have issues with sharing, yes? It is part of my only child syndrome, it isn’t my fault. If you come over, I will certainly offer you a spoonful of my Peanut Butter & Co. but if you want a sandwich or a batch of cookies, I may use the Skippy. Since I still have a good supply of Crunch Time, I secured my new case safely on the top shelf of my pantry. See, time sensitive – they knew better than to try leaving something like this by my mailbox. Loving my friends at Chobani! We have an interesting way of opening packages in my house. It usually involves the two of us fighting to be in charge which results in the package being opened improperly and as you can see, upside down. No matter. The delicious yogurt made it out of the box war just fine. I can’t say the same for the box. Why is it that you can buy a kid just about anything and they still get excited for the box and wrapping materials? He played with this box longer than any toy or video game. Hmm. Anything that takes him away from his iproducts is OK by me. 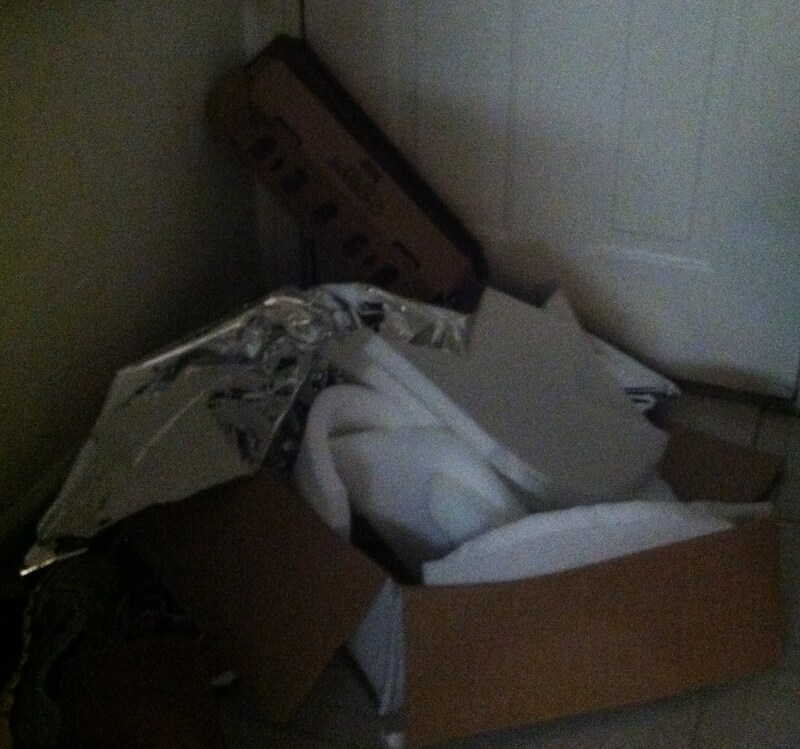 Even if that box is now blocking my front door and causing a fire hazard. 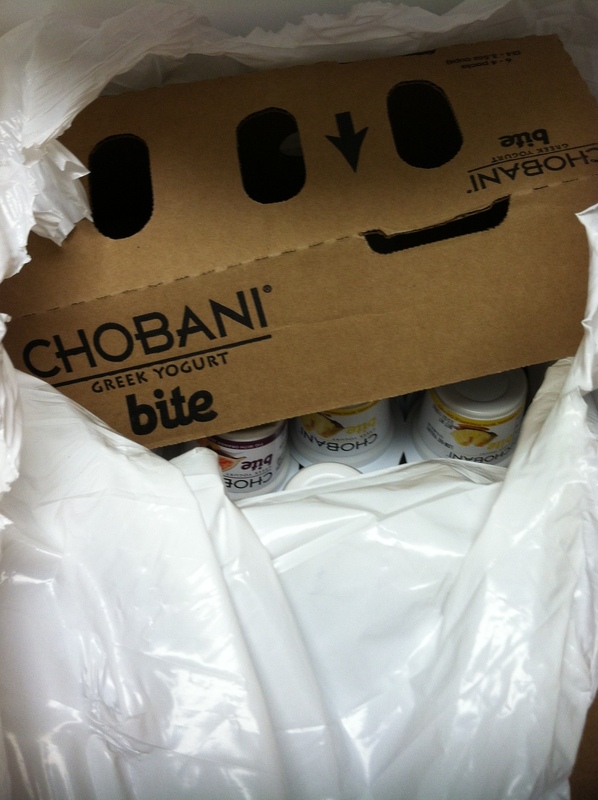 Anyway, I was very excited to receive a case of Chobani bites! It was dessert time when we arrived home. My favorite meal of the day. You know this. I hate to deviate from my favorite apple with peanut butter. So, what does a girl do when she wants to try out the Coffee and Dark Chocolate Bite flavor? She adds the yogurt to the mix of course. Was rather delicious actually. I only noticed a hint of coffee flavor. Which was just fine with me. I love my several cups of coffee in the morning but I am not usually a coffee flavored dessert person. 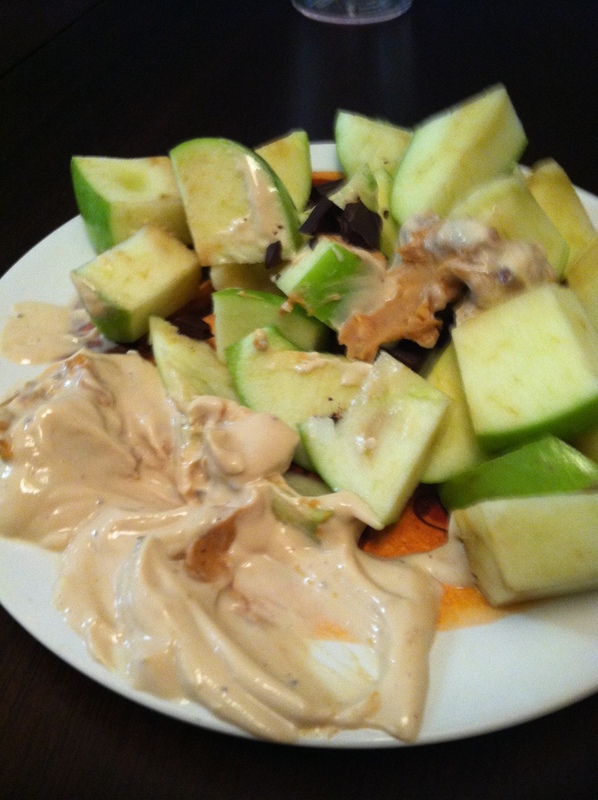 I loved the combination of the yogurt mixed with the peanut butter. Shocking, I know. The boy was too busy with the box to even have a yogurt last night. He was also still full from the delicious dinner I made for him earlier. 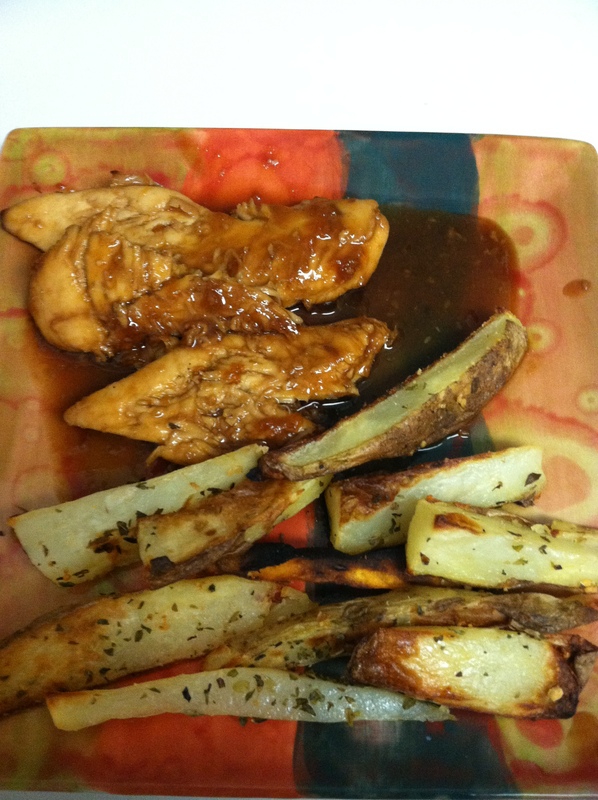 It seems the apricot chicken will be making a regular appearance on our dinner menu. It may not look as appealing as it is to the taste buds, but trust us, the sauce is amazing. Obviously I didn’t taste the chicken but I do use the sauce for my stir fry meals on the nights I prepare this chicken dish. It is so simple to make as I pointed out in last week’s post. Really no need to measure, just a spoonful of the Island Soyaki, a spoonful of the jelly and a drop of the soy sauce. As you are making it, taste it and adjust to your liking. 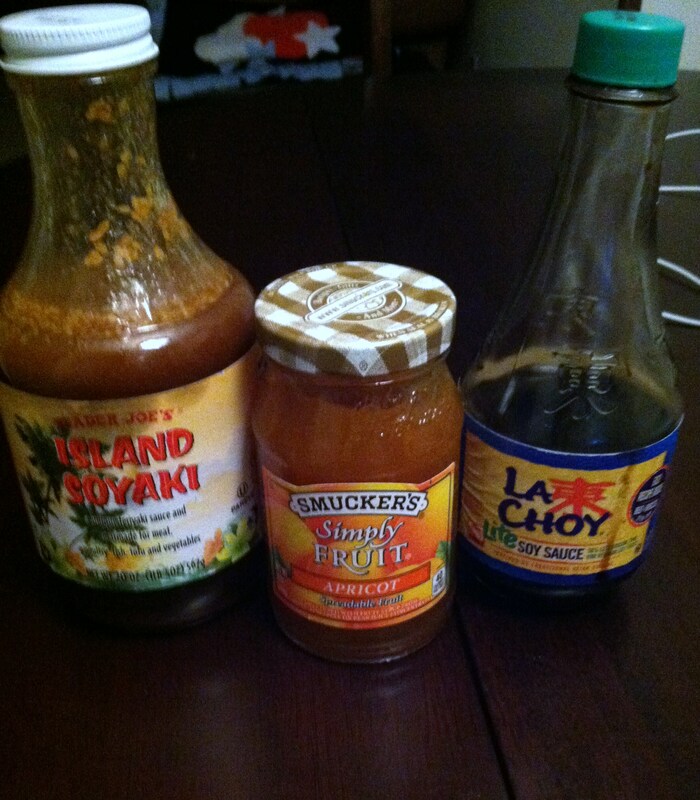 I think it is all about the Apricot Preserves. And a pinch of cinnamon. Don’t forget the cinnamon. Anyone still using Pinterest for recipe ideas? With so many delicious Chobani bites in my house, I think I will finally try out a simple, healthy and fun recipe idea I recently pinned on Pinterest. The pin did not come with very detailed recipe instructions but it looks pretty simple – pour yogurt into cone, mix in toppings (including some peanut butter), stick in frozen until frozen. I intend to make these tonight with the boy and will let you all know how they come out! Are you on Pinterest? You can follow me by clicking here. Don’t forget to leave a comment on yesterday’s post to be entered in the Kidfresh Giveaway- click here for the post! Do you take your mail in everyday? Do you ever walk out of group fitness classes? 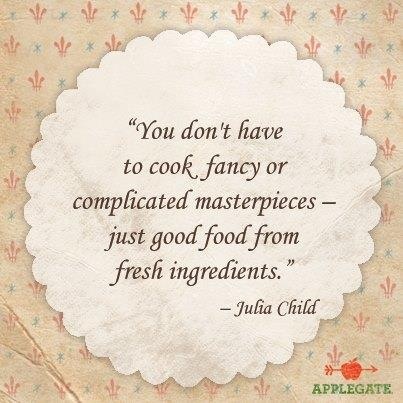 Do you make any of the recipes you find on Pinterest? How do they come out? Spinning 3-TipTuesday and Kidfresh Giveaway! So much peanut butter!! 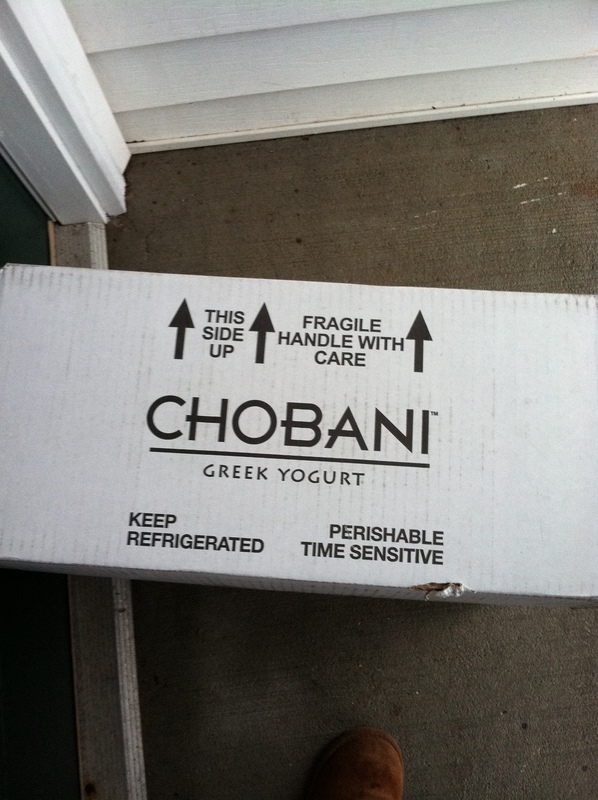 That’s a fun package to get in the mail though..and the Chobani! Enjoy them. The Pinterest dessert looks great, too. I have to get creative with the yogurts to make sure they all get eaten lol…I am hoping the yogurt cones come out good, can’t see how they can be bad. Love peanut butter! Yogurt + pb is such a good combo! Especially when you add in granolla. I don’t check my mail everyday because I live in an apartment with 2 other girls that sometimes check it but most of our mail is from previous tenants. Annoying! Awesome mail delivery! 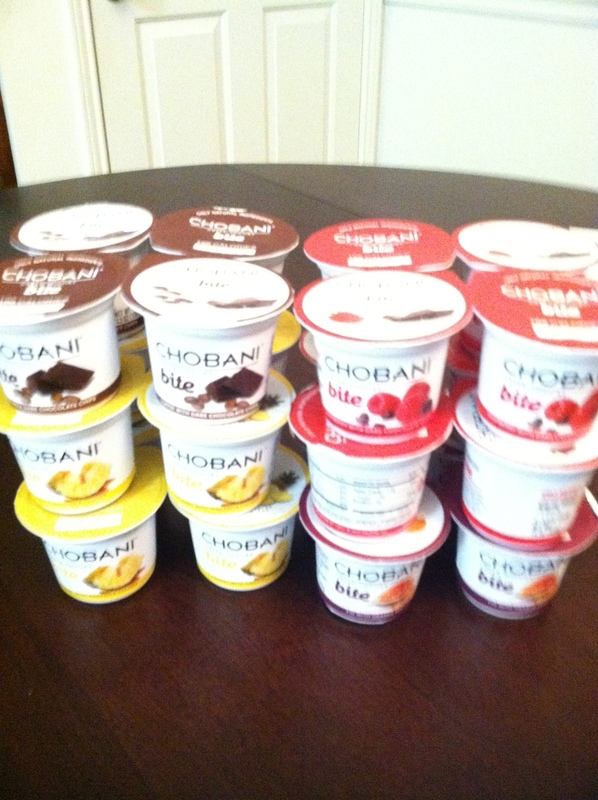 Love Chobani! Yes, I love Pinterest for the creative ideas! I have pinned a ton of fun and interesting baking concepts and party ideas. I haven’t tried them all out but at least I know I have them should I want to! This is hilarious! I totally do the same thing with my pb (and eggs!). The good stuff is for eating myself and the “regular” stuff is for baking with. Duh! Yep, I have separate eggs too for baking! Unless someone who asks me to bake for them and specifically requests organic. And actually, I had one success and one epic fail with Pinterest recipes. After the fail I’ve been a tad gun shy about them, but those cones looks amazing!! I think I’m going to try them with my daughter as well! I haven’t tried too many Pinterest recipes, but I had one success and one epic fail. I’ve been a little gun shy since the fail. But I think I MUST try those yogurt cones with my daughter!! Thanks! 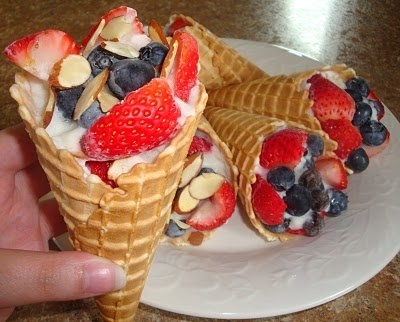 I just posted how the cones came out – you must try it with your daughter. It was so so simple and came out great!